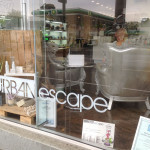 From the moment life was given to Urban Escape it was, as the name suggests, about creating a blissful retreat where our guests would come to be pampered & our team would be proud. It was about creating a beautiful, environmentally friendly workplace & to inspire others that the two can live together, hand in hand in the hope it will initiate & encourage a greater awareness. We began by removing all pollutants & recycling everything possible. The carpet was removed & unveiled a floor of chipboard & concrete wash with approx. 30% salvageable. We sourced reclaimed floorboards and I and a friend re-laid the entire floor. At all times throughout this build process we even limited the amount of power tools utilised & instead opted for the more environmentally friendly option of doing everything by hand. Reclaimed railway sleepers were sourced and recycled for the colour table I designed and we hand built the entire table on site. Other items of importance include our colour dispensary bench which is located inside the main space so our guests can clearly see us using AVEDA products. This bench, the sink & staff room bench are all made of locally sourced large steel offcuts recycled & personally welded together. All sealants are water based & eco-friendly. There were several mirrors left on these premises from previous tenant which we have recycled as there condition was average at best. 1 X large mirror we use as our whiteboard in the staffroom. 1 x medium we reused in the bathroom after it was recut. 1 x medium mirror we use as our back mirror for showing clients there finished looks. I managed to source an old lemonade crate from the early/mid 1900’s & after about 5hrs deconstruction i reconstructed it into our beautiful hand held back mirror. The professional products stand is a reclaimed 1950’s plantar box. Our entire lighting system is LED or energy efficient globes with motion sensors in bathroom/staffroom & our shopfront lights are on timers. Our main space is broken down into 10 small sections which we switch off when not in use. We have dimmers over the basin area which insures complete relaxation for our guests. 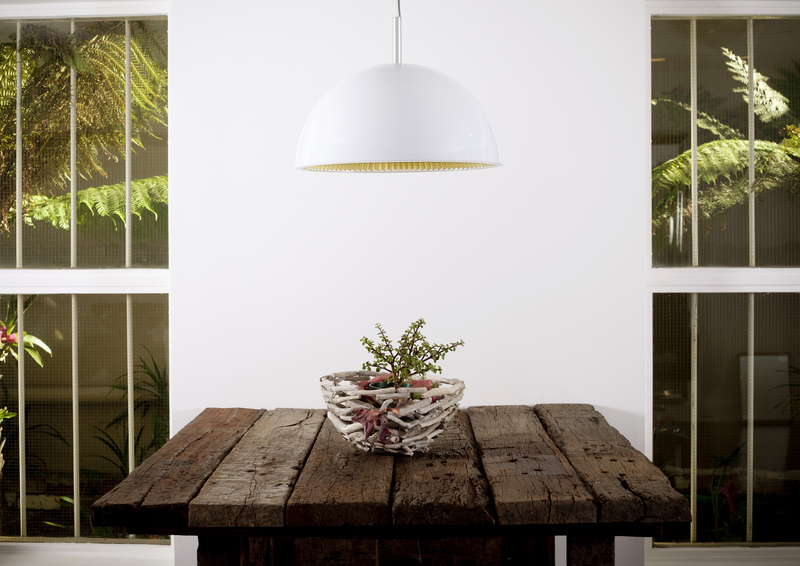 We also utilise dimmers on the pendant light & colour bench to maximise efficiency. We replaced the toilet with a half flush water saving toilet & the reverse cycle heating/cooling system is also motion sensored. All stationary, business cards/refreshment menus, etc.. are printed on recycled paper with soy ink. Urban Escape only serves Fair trade coffee & teas from sustainable sources. Utilising our coffee from the Rainforest Alliance. Throughout the build we filled over 6 huge dumpster bins with our cardboard/paper recycling. Everything not used or left over was recycled whenever possible. Bamboo has been utilised for decoration & functional storage. No fresh cut flowers used throughout salon. Only living plants which we grow then plant in our garden & bamboo. 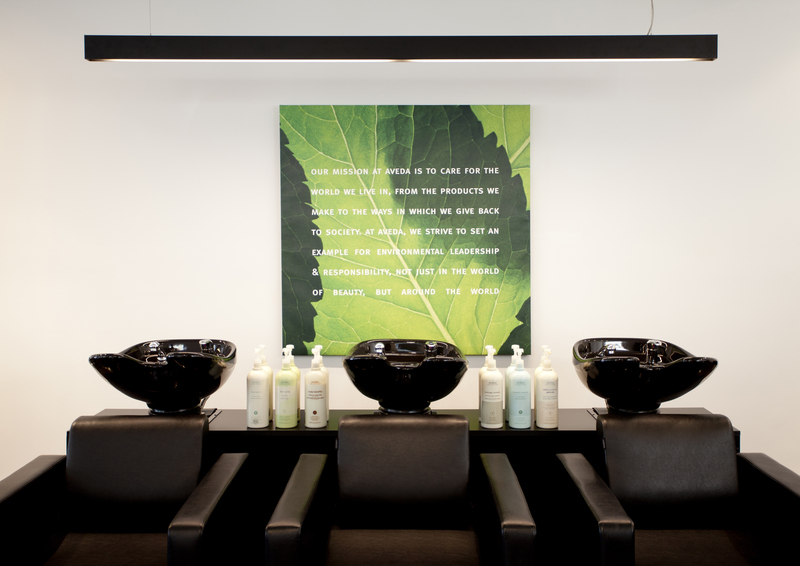 Our salon has recycling bins everywhere & we separate our paper/plastics/glass & even recycle our aveda colour tubes. Even sourcing a abandoned filing cabinet & second hand files. Our passion has also inspired a recycling policy with our neighbours & we encourage them to be environmentally aware & recycle also. Down the side of our shop was a dilapidated area used for storage of everything from old files to old dog kennels & general rubbish. This is now a beautiful garden built entirely from offcuts sourced from our own gardens. One Earth. One Life. One Dream.